Writer and poet, Norman C. Rodriguez announced the launching of his fifth book of poems, and second major publication, Panning to Perfection. The launching of this collection of poems is on Thursday, August 18th at the BTL Newtown Barracks Park at 10:00 a.m. in Belize City. Norman is a nature loving guy who listens to a lot of eighties music. Poetry writing comes when he is most emotionally challenged especially when the issue at hand concerns the social welfare of others. He was born the 16th May, 1970, the tenth of twelve children for his parents. He attended primary school in the Stann Creek Valley and high school, college and university in Belize City. He is presently reading for a law degree at the University of Guyana after which he will study at Norman Manley Law School in Jamaica. His greatest wish is to see that justice is served. He hates injustice and he will sacrifice a lot to ensure that injustice is served. 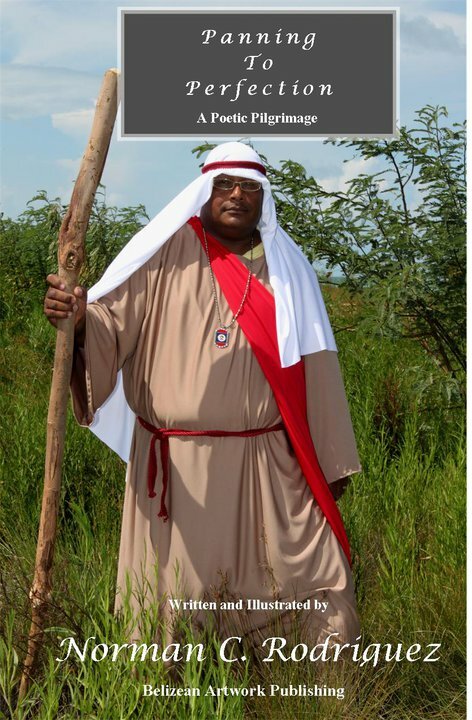 He hates that because many Belizeans are ignorant of the law they are taken advantaged of. He believes that often, even policemen and other officers of the law abuse the underprivileged because they do not know their rights. “Even at the threat of losing my own freedom will I stand up for others. I love Belize so much that I am willing to sacrifice my life for my country”. Norman C. Rodriguez is A LOVER OF BELIZE. You all know that!! His actions speaks for themselves. He will die for Belize! Be on time and be a part of this historic launching. Please know that you are all invited and that you can get your copy of this collection of poetry for Bz$20.00 at the launching. Over 65 new poems by Norman C. Rodriguez!